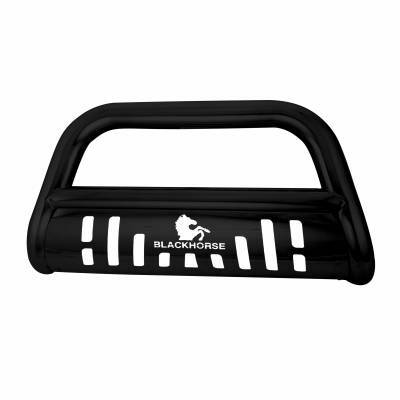 Treat your vehicle to an upgraded look and protection with the Black Horse Off Road Bull Bar. Available in powder-coated black or T304 polished stainless steel, this bull bar is made heavy duty material for a long-lasting service. Installation is made simple because it doesn't require any welding or drilling on most vehicles. With direct bolt-on installations, it can be easily attached to your vehicle's chassis. Get yours today!